(WBEN) At his work station in the defense controls division at Moog Inc. in East Aurora, machinist Clayton Bennet has been showing off a 1960-era yearbook this past week, featuring his father’s time aboard the first USS Little Rock. 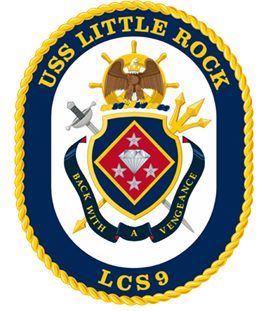 It includes a group picture of his dad and the sailors he served with, and lists some of the Little Rock’s ports of call. “Florence, Athens, 60-61. Malta, Naples…” Bennet says, flipping through the pages of the ship’s voyages. “To be able to see the places he went, I look back and think I was kind of stupid,” he laughs, suggesting that launching into his career, instead of seeing the world was misguided. The laughter comes from the knowledge that Moog technology is aboard the new class of warships that will carry the Little Rock name forward, when a ship docked at Buffalo’s Canalside will be commissioned this weekend. “It’s really cool. Dad’s excited to be able to go down there and see it, and a lot of the hardware was made right here in this building,” Bennet says. Bennet and his father both will be at Saturday’s commissioning ceremonies in Canalside, as the US Navy makes history by formally commissioning LCS-9, the first time ever a ship has been commissioned adjacent to its namesake. He is part of a Moog contingent that is involved at several levels, with their parts and their people on the shore of Lake Erie for the event. “To have this event here means so much to us. We actually get to see our work,” says Maureen Athoe, President of Moog’s Space & Defense Group. “It’s a very big deal, especially for our employees who work on this stuff, work on the hardware, but they never get to see it in person, they never get to see where it goes. You usually don’t get to see it on a sub, you don’t get to see it on a missile. You get to see it on that ship this weekend,” she says. The original Little Rock (Pictured R, from Bennet’s yearbook photos) began its service as a light cruiser in 1944 and later was recommissioned as a guided missile cruiser. It was taken out of service in 1976 and is now part of the Naval and Serviceman’s park at Canalside. Alongside it, the Navy’s next generation USS Little Rock awaits tomorrow’s ceremonies. Atop the new Little Rock is a radar dome filled with Moog technology that helps track aircraft on and near the ship. Moog provides the new Littoral-Class ship’s tactical air navigation (TACAN) and surveillance system. Deep inside the vessel are some of Moog’s fiber optic switches that help with communications. 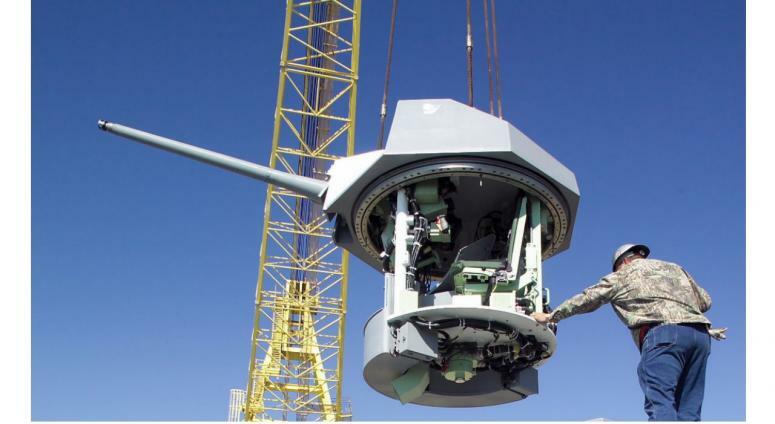 And a lot of Moog’s pride comes from the gun turrets that will be mounted on the new Little Rock once it heads for sea. “Effectively as the ship moves and sways, our system keeps the gun level because it’s very important if you are aiming at a target and the ship is rocking, you want the weapons system to reject that,” says Tony Peck, Moog’s director of Defense Control Systems.